Andy Cook always enjoyed visiting with Uncle Art and Aunt Bernie. (Art and Bernice Allen). 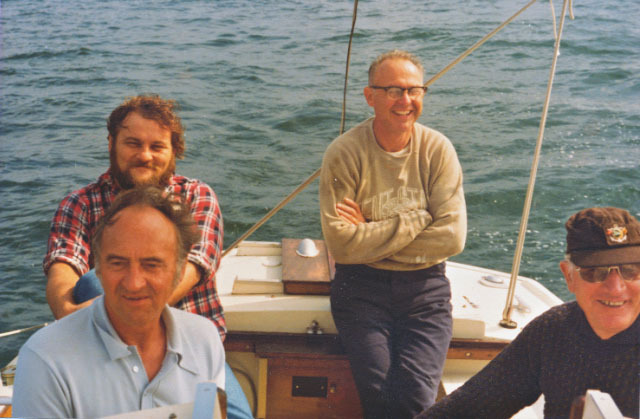 He especially looked forward to sailing on Uncle Art's boat. These pictures were taken in the 1970s. 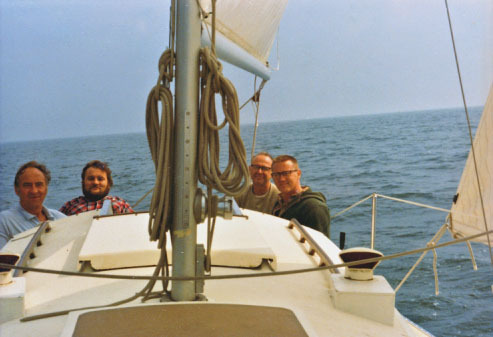 From left to right in the first photograph are Uncle Art, Andy, Curt Amesbury, and Bill Wells. Thanks to Aunt Bernie for sending us these photographs of happy days!